Former Manchester United defender, Gary Neville believes that his former club needs to spend heavily in summer in order to compete with Manchester City and Liverpool next season. 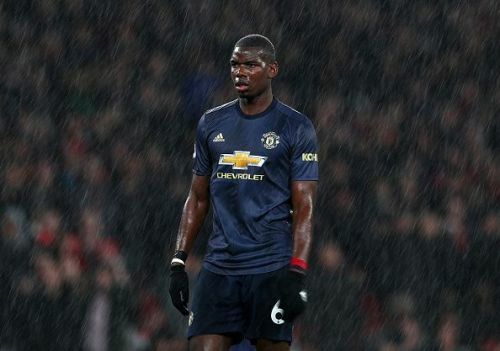 One of the most successful teams in English football, Manchester United struggled in the last few years and failed to win the league title since the departure of Sir Alex Ferguson in 2013. Three different managers tried to end that drought but no one managed to achieve it. However, things are changing under Ole Gunnar Solskjaer this season and the Red Devils have lost just one out 13 league games since his arrival. They are currently fifth in the league table and will be looking forward to finishing the Champions League qualification places. Nevertheless, there are still some improvements needed in the Red Devils' squad to compete with Manchester City and Liverpool for the Premier League title, and Ole Gunnar Solskjaer could use the summer transfer window as an opportunity to further enhance his team. Speaking to Sky Sports(via Goal), Gary Neville said that the Red Devils need to spend between £200-£250 million this summer to catch Manchester City and Liverpool. “Ole's doing an incredible job, but he needs to set the foundations and the rules with the guy he's speaking to for his job now. “He needs £200m-£250m. They still need three defenders, they still need a midfielder, they still need a striker. “They need five players - that's going to cost £250m for the quality Manchester United needs. Manchester United will play Wolverhampton Wanderers in the FA Cup next before hosting Watford at the Old Trafford in the league on March 30.